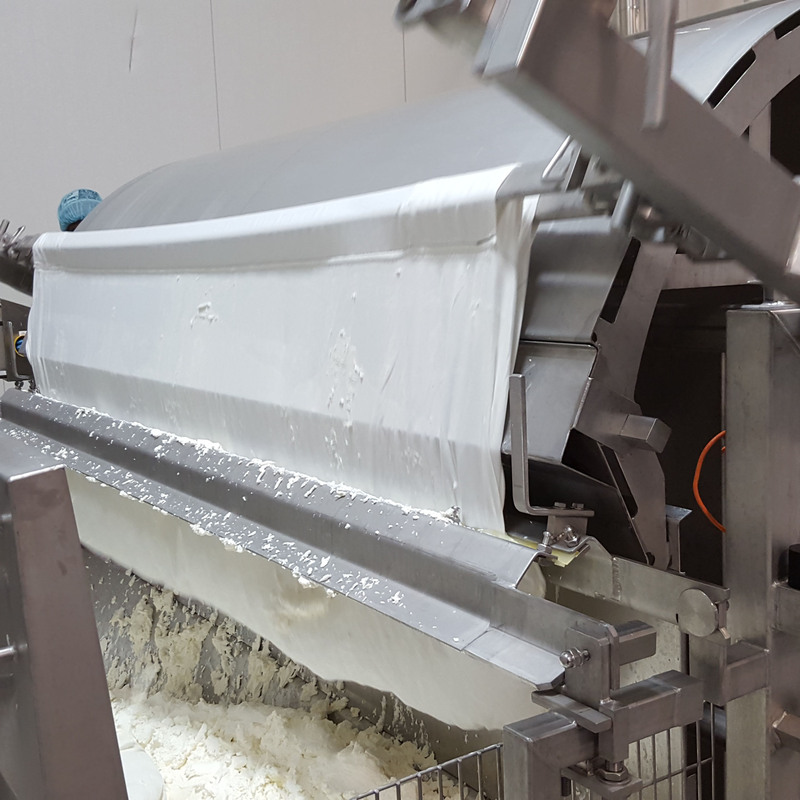 This solution makes the operator’s job easier and helps recovering curd after bag discharge. 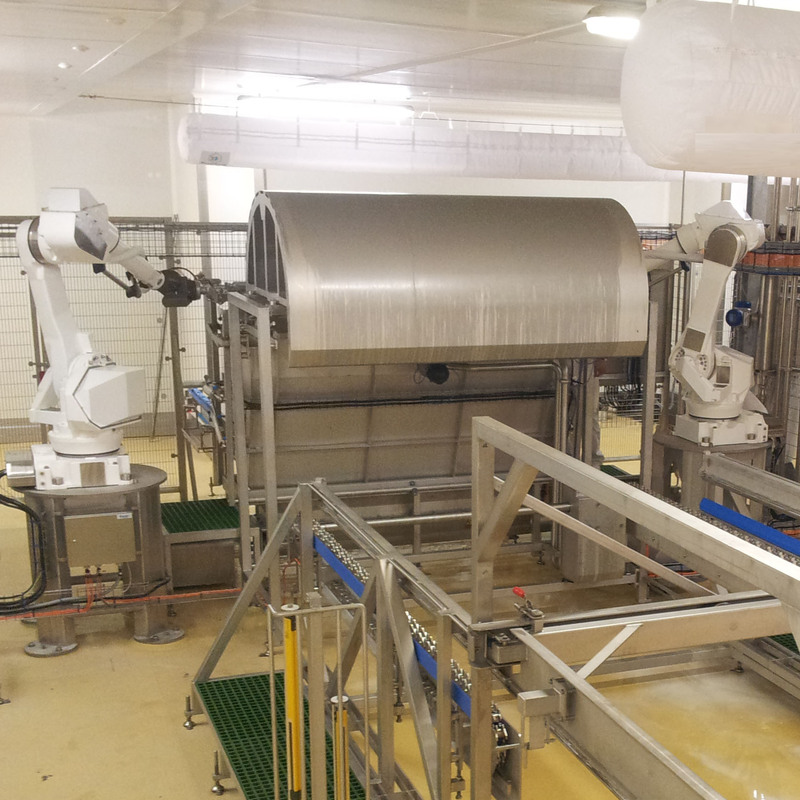 Two synchronized robots seize the full bags. 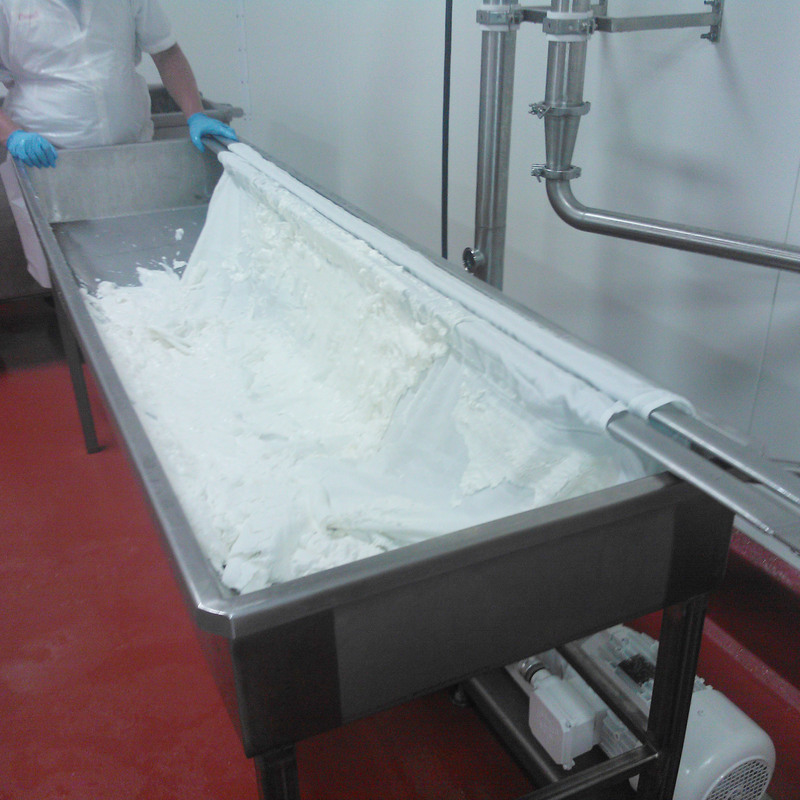 A scraping system is operated automatically in order to recover as much curd as possible.